At Essex I am a Project Accountant. Before that, I attended the University of Oregon and earned a B.S. degree in Accounting. I was also a sergeant in the Marine Corps Reserve as a Combat Engineer, and deployed to Afghanistan in 2010 and Eastern Europe in 2012. When I’m not working my focus turns to sports. I play softball, listen to sports radio, watch sports, and am a Duck fan. In fact, I met my wife Melisa while playing softball. 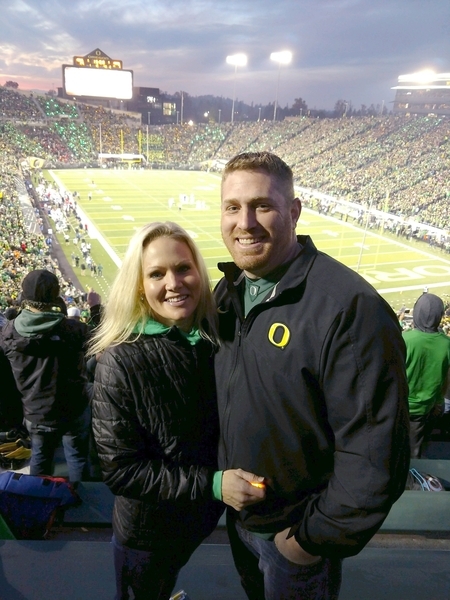 She played softball at the University of Oregon and shares my love of sports. Our ideal retirement would be traveling around the country, going to every baseball stadium. Until then you can find me at Essex, contributing to the team.